Pelle Sjoenell, known for his collaborative approach to creativity, is now holding the job that Sir John Hegarty once had. Keeping the agency's culture alive is one key task, Kate Magee writes. "Big shoes to fill" is a horrible cliché. And yet it is the best way to describe the situation that Pelle Sjoenell finds himself in. 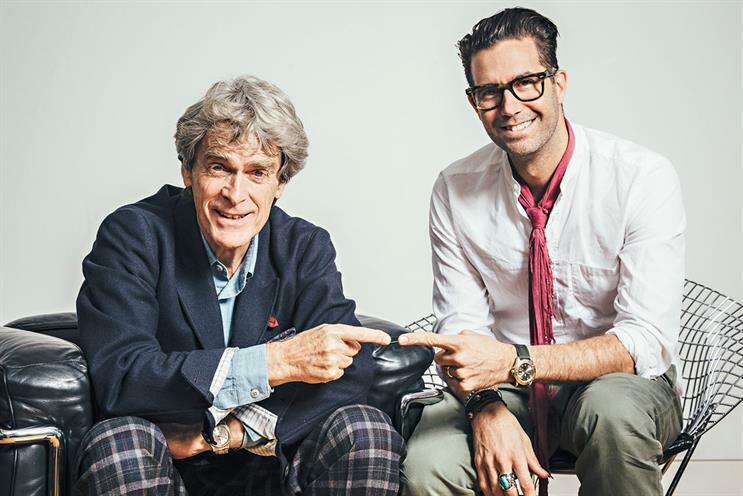 As the newly crowned worldwide chief creative officer of Bartle Bogle Hegarty, Sjoenell is now responsible for the creative output of BBH’s seven offices around the world, working closely with the global chief executive, Neil Munn. Significantly, the role was previously held by Sir John Hegarty. Sjoenell is not the first to take up the challenge. Alexandre Gama, the founder of the Brazilian agency Neogama, held the role for the past three years. But he stepped down earlier this year, wanting to focus more on his own projects than leading BBH. Gama and Sjoenell share the same entrepreneurialism and creative flair, but Sjoenell is a very different character. He is almost sickeningly enthusiastic about BBH, claiming that it was seeing BBH’s "laundrette" for Levi’s in a cinema aged 13 that lured him to a career in advertising. After senior positions at King and Fallon, he joined BBH New York in 2007. Interestingly, his brother Calle Sjoenell, now the chief creative officer at MullenLowe Brindfors, was also at BBH at the time. The pair worked on the Titanium Lion-winning "Oasis – Dig Out Your Soul in the streets", which saw New York street musicians performing songs from the Manchester band’s new album. Sjoenell also proved himself on "clean your balls" for Axe and "dear Sophie" for Google – which was named Time’s best ad of 2011. He was trusted with founding BBH Los Angeles in 2010. As a leader, Sjoenell is known for his collaborative approach to working and his interest in how advertising can partner with the entertainment industry. In 2014, he set up The Creative Studio in partnership with Scooter Braun, a music-talent manager who owns a record label with Usher and manages, among others, Justin Bieber. The challenge now lies in boosting BBH’s creative firepower and injecting confidence back into staff. The agency has lost some iconic clients (including Johnnie Walker) and – certainly in its London headquarters – has seen the departure of several agency stalwarts. But BBH is undergoing a transition to get it match fit for the future. Can Sjoenell pick up the baton from Hegarty and write the next chapter of BBH? So far, Sjoenell has shown he has the creative ability and the drive to make things happen. Now he has to prove he can translate that magic globally. 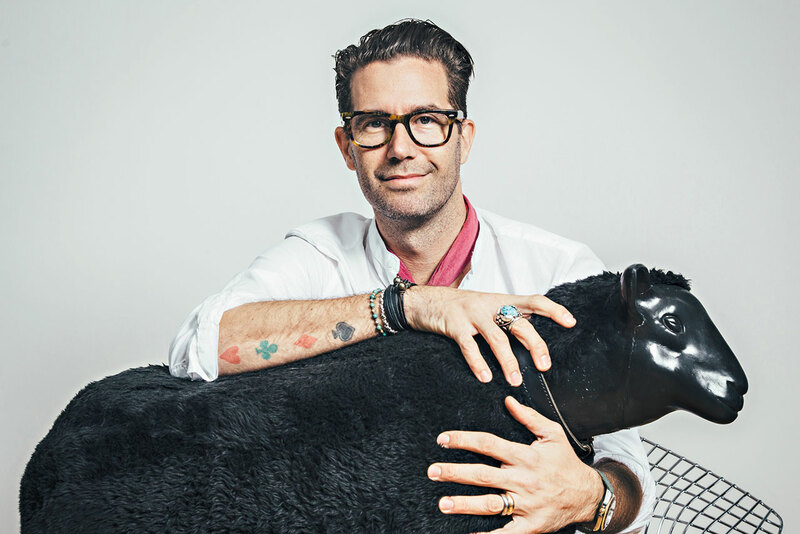 As the worldwide chief creative officer, naturally you’ll be looking to make your own mark. But what are the untouchable cultural values of BBH that you feel you need to preserve? What BBH has mastered throughout the years is strategy. Some of the best planners in the world come from England and, obviously, BBH has been a huge part of that. For me, I have to say the most scary thing is to have a very great idea that doesn’t work. Our industry used to be problem-solvers but I think lately we’ve become media-fillers instead. We’re asked to fill a media buy as opposed to crack a business problem for our clients. But to make sure that you can find and touch people, and have ideas, something that is eternal – to me, that’s what makes BBH. You’ve had good results with your content studio approach in Los Angeles. Is this something you plan to reproduce around the world? We already have Black Sheep Studios doing fantastic things for Ikea in Singapore. London has started to produce a lot. I think that’s something the market demands of us. People pay for entertainment and they pay to avoid the advertising. You buy premium apps to get rid of the ads. That means we need to learn from entertainment. There is something that we’re doing wrong or there is an opportunity on the other side. If you look at Red Bull, for instance, and some of the amazing big-production films they’ve done, those are ads – but they’re selling them. They’re making money on their investments. Look at The Lego Movie. I think it’s one of the best ads in recent years. How much of a priority is it for you to win another showcase client such as Johnnie Walker or Axe? Do you need a standout creative client? I think it’s important to do long, enduring, great idea platforms for any brand. I think those are two iconic examples, yes, but it’s because they were enduring and they had the room to play with over the years. It had room for a lot of different flavours in the same concepts. To me, it’s not about big or small clients. It’s about big platforms for any brand. We take great pride in that. What region would you say is most in need of your attention right now? There is no place that needs to be fixed. I think what we’re talking about is optimising the whole. Making sure we have more synergies between offices, more sharing of knowledge. There are amazing things to learn from different markets.